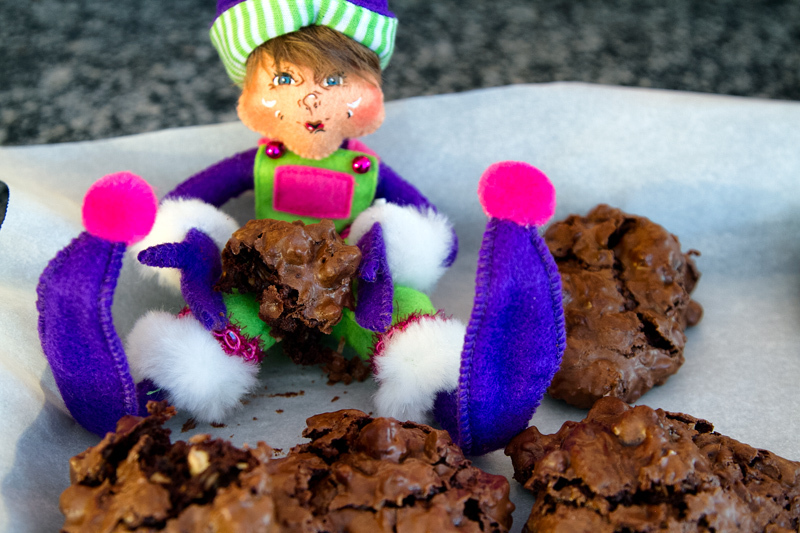 Flourless Chocolate Coconut Almond Drops and Elfin Magic for the Holidays – We Call Him Yes!Chef! The above elf is not Edmond. Edmond is older, taller and wears red. He doesn’t mind purple, he just thinks it’s not as festive as red and green. 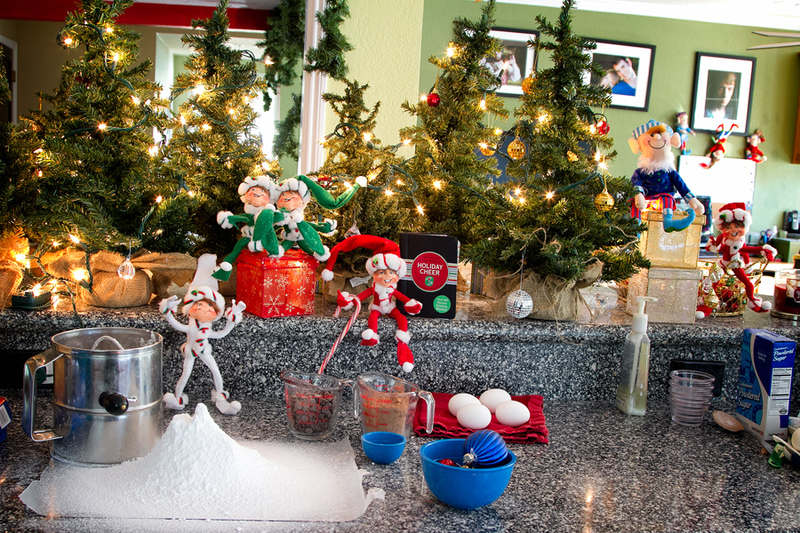 Last blog post I introduced you to my little elf friend, Edmond Elf. (PS he doesn’t like to be called Ed or Eddie or any derivation thereof. I found that out the hard way. )He is a good natured elf, but gets himself into all kinds of trouble because he’s a curious little guy and quite full of himself. He joined our family last year. 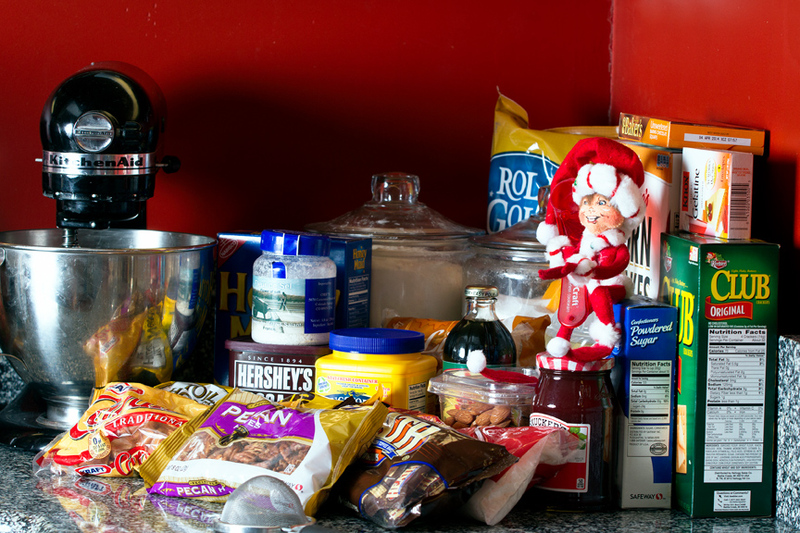 When I woke up the other morning, he had assembled everything I could ever hope to need to make a batch of Christmas cookies. And he wouldn’t take “no” for an answer. 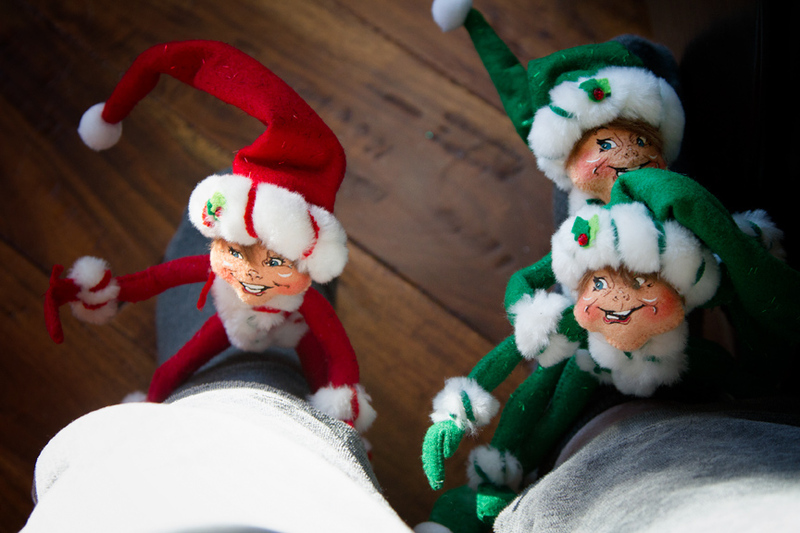 While I was editing some last minute Christmas photos for some clients, he assembled a couple of his friends, who grabbed onto my legs so I would be gently reminded of my Christmas cookie promise to let him help me make Christmas cookies for Santa. It was a promise that he took quite solemnly. He says you should not make promises that you do not intend to keep. He is quite right. 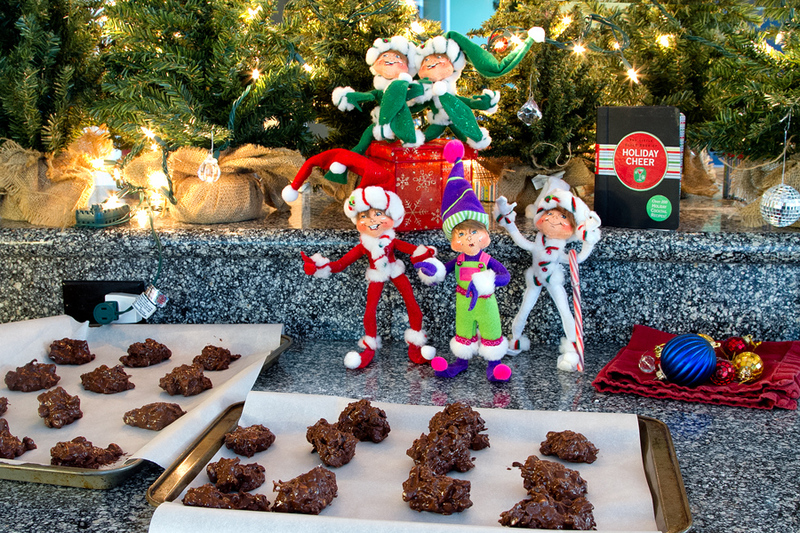 I picked a recipe that I had pinned on Pinterest a couple of weeks ago and we began to make our first batch of Christmas cookies…Flourless Chocolate Coconut Almond Drops. I found this recipe on Martha Stewart’s website, in case you are wondering. We started with the mis en place…getting everything prepped. 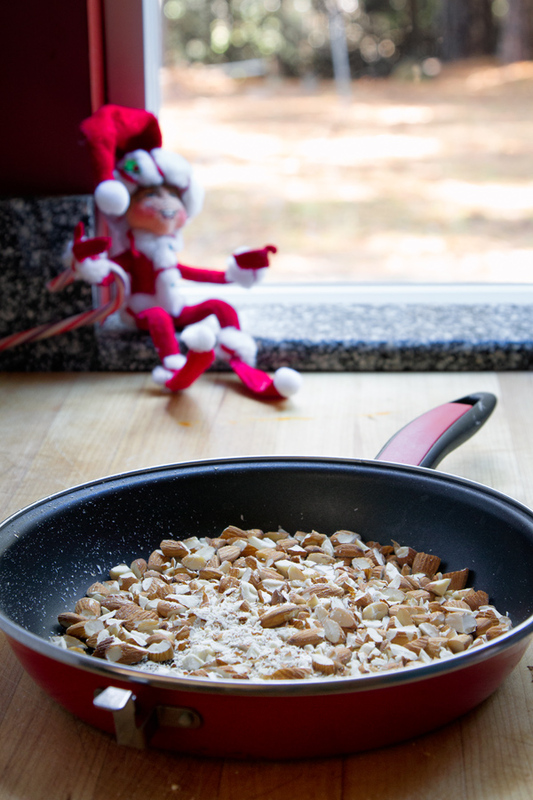 Then I rough chopped the almonds and toasted them over an open fire…not really. I toasted them on the regular oven. Almonds rough chopped and ready to be toasted. The thing about toasting nuts is that you have to keep an eagle eye on them because they hit a tipping point pretty quick and if you don’t tend to them they burn. I have found that out the hard way too many times to mention. But this time I watched them like a hawk. They smell so nice when they are toasted and it brings out a lovely flavor. The recipe is very simple and easy to make, but it does caution that it should not be over-mixed. With so many helpers, that was probably the toughest part. 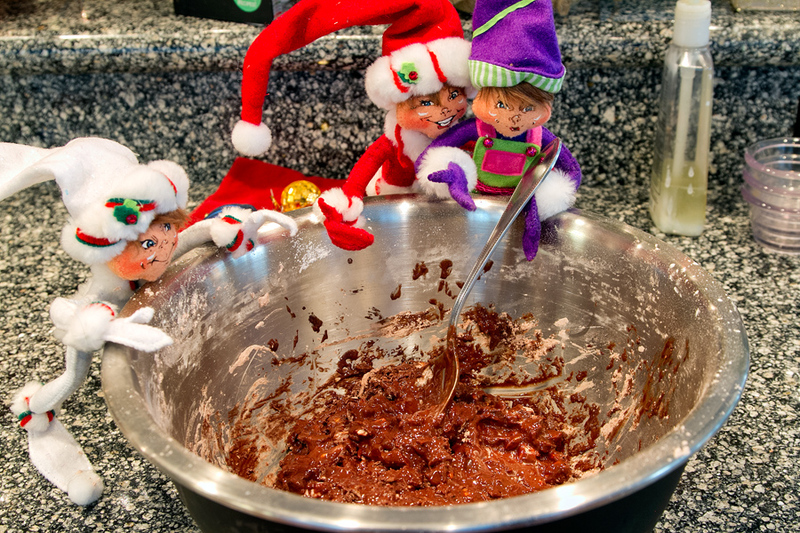 but they always want tasty Christmas cookies, so they restrained themselves. Then, you drop them by tablespoonful onto parchment paper . In any event, I would recommend these tasty bites. 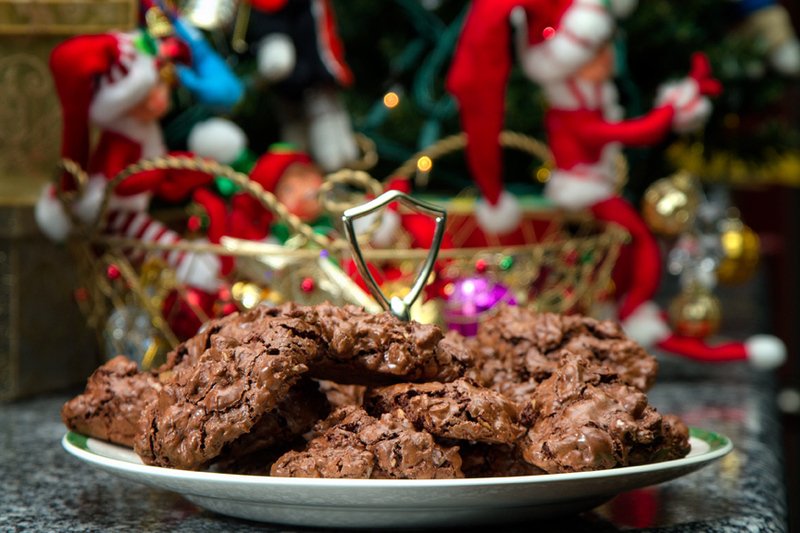 They are easy and chewy and chocalate-y and nutty and good…y. Edmond says we should make marshmallows next. 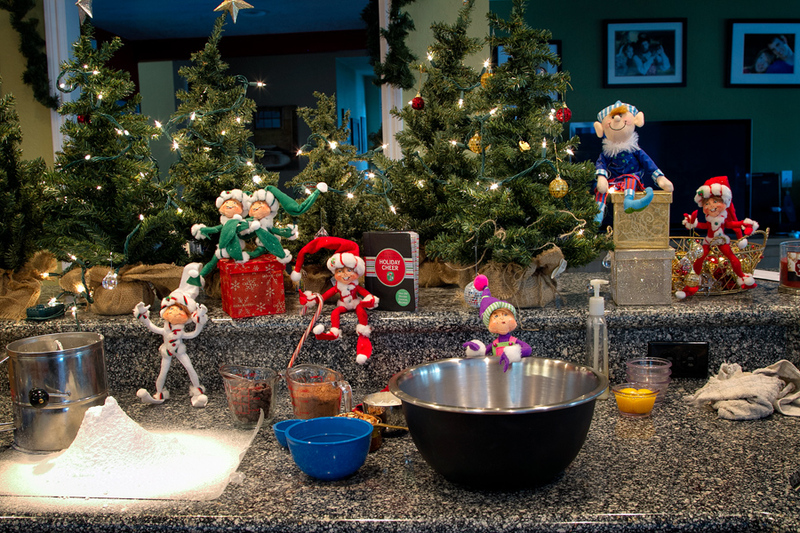 I have never made homemade marshmallows, but the elves assure me that they are to die for. Yes!Chef! gave me the thumbs up, too. He made homemade chicken and vegetable noodle soup today because it was cold and rainy. Quite the tasty treat. Probably should put his recipe on the blog. 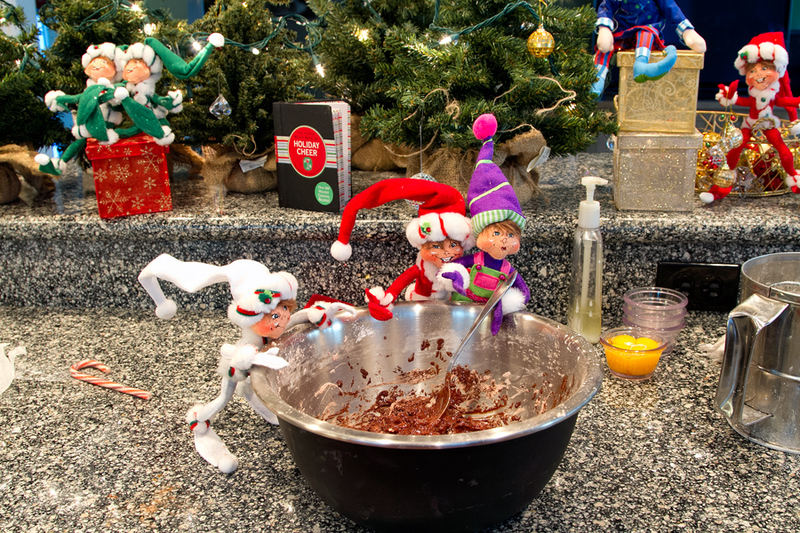 Enjoy the cookies and, I would highly recommend getting your own elf. They make Christmas so much more exciting. ← Orphan Recipes and other mystical creatures. Just in time for “The Hobbit” and Rivendell–I would gladly get myself an elf from there any day. 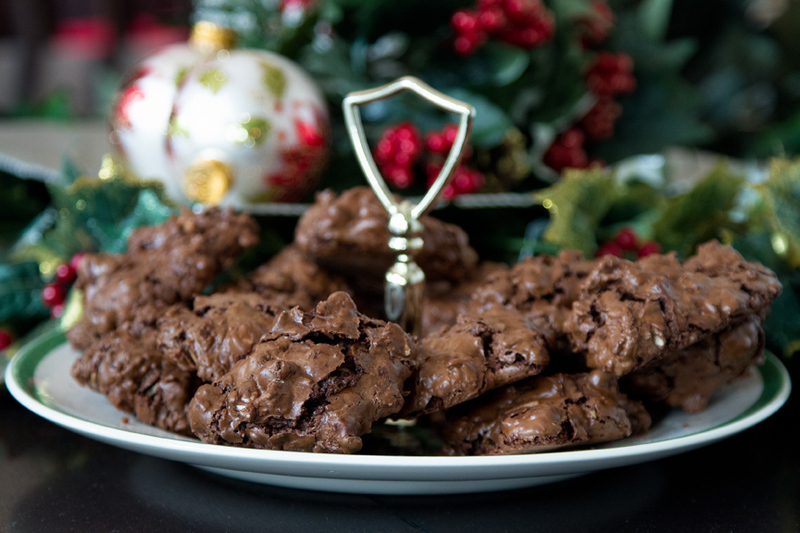 Thank you for sharing such a wonderfully delightful post and recipe! Oh, I know! I am very excited to see The Hobbit. I think I will leave Edmond at home, though. I’m glad you enjoyed the post. I so love your posts! Def going to try these cookies. Thank you so much! I hope you enjoy the cookies! Hello, you are nominated by Midwest Mary for the One Lovely Blog Award. 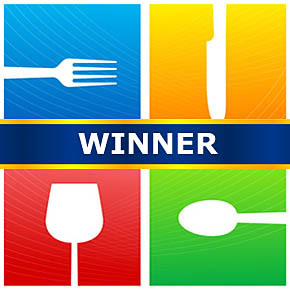 You can see your nomination here: http://midwestmary.com. If you wish to accept this nomination the rules are to: 1. Thank the blogger who offered the nomination; 2. Post the One Lovely Blog emblem on your blog; 3. List seven random facts about yourself; 4. Nominate fifteen other bloggers for the award. Send a message to those nominees informing them of their nomination. If this isn’t something you wish to do then please just think of this as a compliment to your blog!